Everyone wants the best price possible when selling their home. But not everyone knows how to make their property appealing to prospective buyers. The good news is that you can add thousands of dollars to your home’s sale price without spending a fortune. 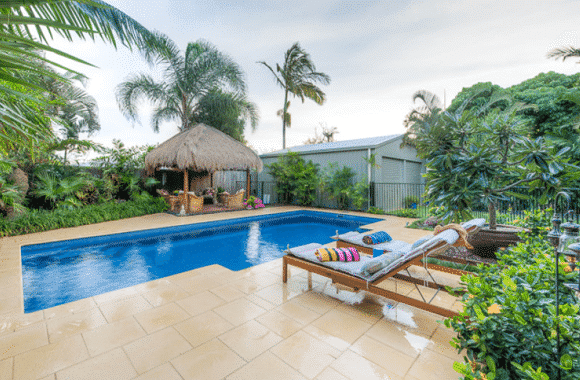 Let’s take a look at seven Australian properties that sold for strong prices – and what you need to do to replicate their success. This three-bedroom, two-bathroom Brunswick terrace house sold for $865,000. The high sale price is in part due to its convenient location (it’s close to local primary schools, Lygon street cafes, restaurants and boutique shops), but it’s also because the home was presented for sale as an inviting, family-friendly environment. The owners de-cluttered the property before listing it on the market, which most real estate agents recommend. At the same time, however, they made sure the home didn’t lose its cosy, lived-in feel. Property is often an emotional transaction, so leaving the slide in the backyard and the train set in the child’s bedroom helped buyers visualise living there with their children. With panoramic beach and ocean views, this luxurious two-bedroom apartment was always going to sell for a high price. Even so, its owners walked away with a cool $1.35 million – over $500,000 more than the average Queenscliff unit price. How did they do it? By bringing the outdoors in with considered colour choices (note the ocean blue cushions), beach-themed artwork and a few pieces of strategically placed driftwood. This is a property with one of the best views in Australia, and the person styling the home was not about to let prospective buyers forget. This seven-bedroom, three-bathroom home sold for $1.82 million. As an older home with plenty of history, its owners decided to showcase its heritage with a few signature rooms, while keeping the rest of the home simple and minimalistic. This showed off the property’s character without making it difficult for buyers to imagine themselves in the space. Getting the best price for your home sometimes requires expert help. Three different real estate agents tried unsuccessfully for two years to sell this Woollahra home. The highest offer received at the time was $1.75 million. The owners then engaged Catherine Dixon, from real estate agency BresicWhitney, a design-focused agency in Sydney’s Eastern suburbs, who suggested they spend $25,000 on styling, painting, floor sanding, gardening and new photography. Soon afterwards the home sold for $2.44 million – $690,000 more than the previous highest offer. While spending tens of thousands of dollars to prepare your home for sale might seem like a big investment, it’s almost always worth it. After all, who wouldn’t spend $25,000 to make $690,000? It’s nice to have somewhere to unwind at the end of a busy day. So when the owners of this five-bedroom, two-bathroom Mackay home were ready to sell, they didn’t just take photos of the pool. Instead, they styled the pool area with banana lounges and beach towels so that it looked like a relaxing and inviting space. With a few simple additions, the pool area became somewhere buyers could see themselves chilling out, spending time with friends or catching a few rays of sunshine while reading a good book. The result? The home sold for $470,000. That’s an impressive figure considering the median Slade Point house price is just $290,000. This one-bedroom, one-bathroom Paddington home was proving difficult to sell. The highest offer the owners received was $1.08 million. Real estate agent Catherine Dixon suggested the owners invest $6000 in improvements, including styling, gardening, painting, storage and new photography. No major renovation work was conducted. The home sold within one week of being listed online. The sale price? $1,19 million. That’s over $100,000 more for a $6,000 investment. If only every renovation was that simple – and profitable! Are your home decorating tastes a little eccentric? Many property sellers think they need to tone down the over-the-top furnishings and bright colours to achieve a high sale price, but this isn’t always true. After all, there’s every chance you’ll find a buyer who loves to clash orange and blue together as much as you do. Take this three-bedroom Endeavour Hills home, for example. Regardless of whether you like the decorating style or not, it’s a property listing that potential homebuyers won’t forget in a hurry. The owners did all the right things, including de-cluttering, getting great photos taken and showing off what makes their home unique. While not everyone can own a property in an amazing location, you don’t have to live in a prestigious suburb to get a great price for your home. From choosing the right real estate agent to hiring experts to style your living areas, there are plenty of ways to maximise your property’s sale price.